This slot is fairly easy to play as all you have to do is configure the value of your coins, the number of active pay lines, and the number of coins you play per active pay line. Your wager will be displayed in the middle of the bottom of the screen, next to which you will find the max bet button. With this button, you immediately play with the maximum possible total wager. Also, this slot has a gamble option, with which you can double your winnings. Additionally, the slot has an autoplay function. Make sure to pay attention to the fact that after activating the autoplay function, you have to configure things like coin value and such again. Dr. Jekyll & Mr. Hyde is a two-faced slot released by software developer Betsoft. People who have played Betsoft games before will understand that this theme is perfect for Betsoft. Not only does the theme provide two different possibilities from the start, also the story of Dr. Jekyll and Mr. Hyde give way to many other opportunities. The setting of this game is Dr. Jekyll’s house. He will be standing on the left-hand side of the screen yelling tally ho. On the right-hand side of the screen, there is a red and a blue drink. These drinks will prove important during the rest of the game. How to play Dr. Jekyll & Mr. Hyde? There are quite a few little extras to get a hold of on this slot. These extras are given when certain combination are made. In order to be sure what extras you will win with what combinations, make sure to check out the paytable. On wheel one, three, and five you will find the logo symbol with has an interactive feature with both Dr. Jekyll and Mr. Hyde, and this can yield some nice bonuses. One of the features also encompasses Mr. Hyde, and the whole field will be reshuffled. This means that new symbols will appear and possibly, new winning combinations will have formed. Additionally, there also is a frenzy bonus connected to Hyde – get rid of the police and plunder as much as possible. During this feature, you can win up to 66 times your bet. Coming back to those important drinks; at the bottom of the screen, there is a bar that fills up with red potion every time a red potion symbol lands on one of your reels. When the bar has filled itself completely, you will receive free spins. Before being brought the another screen, there will be a short video in which you can see Dr. Jekyll drink the potion and, consequently, shapeshift. Do note that if you chance your configuration of coin value, active pay lines, and bet per line, the potion bar will be emptied again. If you go back to your old configuration, the bar will be filled up to the level it had when you last used it. The number of free spins during this round depends on the blue potion. During free spins, instead of having a bar for red potion, you will have one for blue potion. That is, every time a blue potion symbol lands on your reels, that bar will fill itself. After twelve blue potion symbols, the bar has reached its limit, Mr. Hyde will drink the potion, shapeshift into Dr. Jekkyl, and free spins end. The funny part about this system is that the is a counter of how many spins you already have had. This in contrast to the usual counter counting down. Dr. Jekyll & Mr. Hyde is a slot that really does not need a jackpot. Namely, the game already has more than enough exciting features and possibilities to win big. For example, consider the red potion leading to free spins, and a roaring Mr. Hyde when a blue potion lands right next to him. 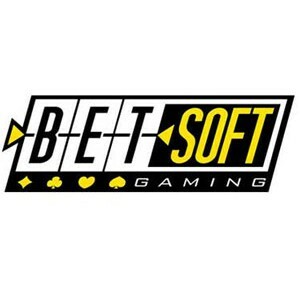 All in all, Betsoft has created a game that is one of the best in its kind.